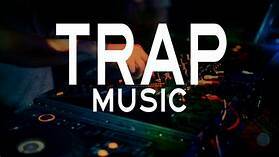 Why is it that Trap Music is a the cause of dealers wanting to make music. Trap music is the staple of the rap game right now. Tons of artists are creating a movement behind this style of music. It is clearly the top dog of entertainment. Trap has worked it’s way into the club and into mainstream America via Miley Cyrus. It has a flexible range and will pave the way for the future of the music industry. That is why it is important to understand the background of trap music and how to bring elements into your songs which will remind people of the roots. Trap music was born on the famous 808 drum kick from TR-808 drum machine made by Roland. The sound has morphed its way into the main stream with more punch and boom but this is the key to all trap beats.